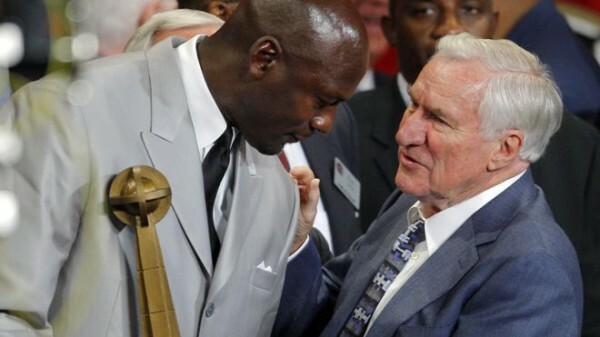 More than the achievements of Dean Smith with North Carolina and USA basketball speak about what kind of head coach he was, the way his former players and assistants like Michael Jordan and Roy Williams speak about him tells us what kind of influential person has passed away. Davis played under Smith in North Carolina from 1988 to 1992 before beginning a 12-year NBA career. He has been Roy Williams’ assistant at Chapel Hill for the last three years. Michael Jordan: He was more than a coach. He was my mentor, my second father. In teaching me the game of basketball, he taught me about life. Jordan played in North Carolina for three years, from 1981 to 1984, winning the national championship in 1982 with a game winning shot against Georgetown. The popular choice for the greatest basketball player in history, Jordan is the owner of the Charlotte Hornets these days. Phil Ford: He would always stay in contact with us, not only as student-athletes here at North Carolina, but once we graduated. He would always send us letters of encouragement when things were going bad or struggling with certain things and always let us know that he was here for us. Again, anything that he could possibly do of himself to make you better, he was willing to do. Ford was a player at North Carolina from 1974 to 1978 before going on a decent yet short NBA career. He was an assistant coach under Smith and later Bill Guthridge from 1988 to 2000. Marcus Paige: I never really realized how important he was to the players until I got here and got to hang out with Shammond Williams and Antawn Jamison and got to learn how important a father figure he was to them. You don’t learn those things in textbooks or on ESPN, so it was kind of cool to be around people who were influenced by him and learn that way. Paige is a Junior right now at North Carolina. Roy Williams: It’s so funny because all of our guys, when I was an assistant here, would come back and talk about how all the other guys in the NBA would make fun of that. We used to just say it was jealousy because they wanted to be part of that family. Roy Williams has been the North Carolina head coach since 2003, winning two national championships (2005, 2009). Williams was an assistant under Smith from 1978 to 1988 before taking over the Kansas head coaching job.